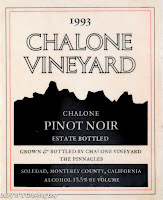 1993 Chalone Vineyard Pinot Noir - this was not bad at all. 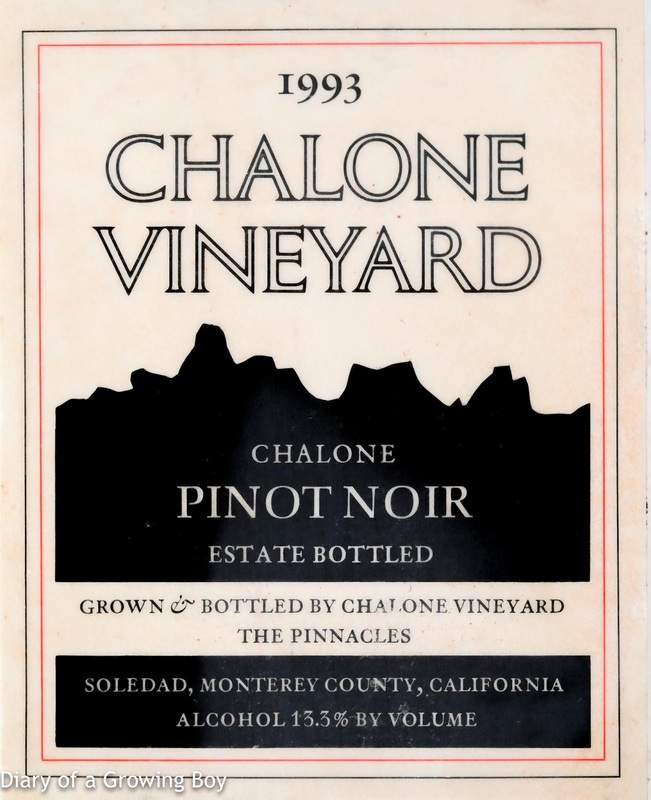 Good balance of acidity and concentration of fruit, with black olives and minty notes and some raspberry. A bit of marshamallow? Or was it vanilla?